Lilau Square is located at the north of Penha Hill. It has been inscribed on the UNESCO's World Cultural Heritage Lists as it forms part of Historic Center of Macau together with neighboring ancient architectures. As a legend goes, during Ming Dynasty an old lady constructed a well to collect spring for nearby dwellers; therefore the pool is called "Lilau", literally means "mountain spring". 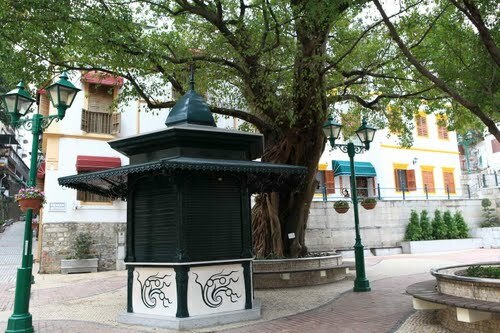 In the distant past, Lilau was the main source of natural spring water of Macau and the area was one of earliest residential quaters of Portuguese in Macau when they established their colony in Macau. 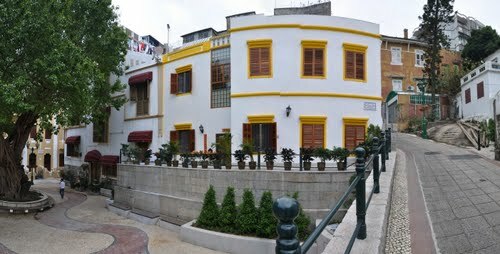 Therefore many Portuguese-style apartment houses can be seen following the contours of hills with traditional Portuguese architectural style and art deco design. In order to preserve its cultural feature, Macau government conducted a series of maintenance work of Lilau Square. 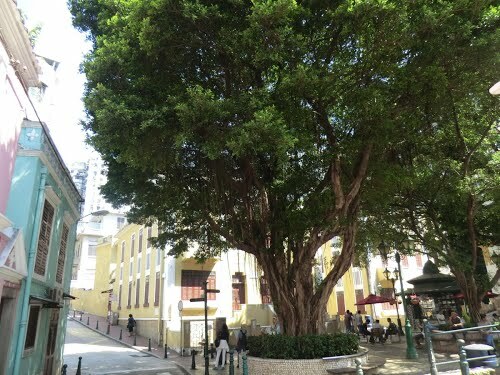 Two century-old banyan trees are retained. Classical street lamps were set up, and the cobbled road were transformed into marble. The renovation was finished in January 1996. Lilau Square and nearby European-style architectures are preserved. When you visit the A-Ma Temple, do not forget to visit the Lilau Square, which is only a ten minutes' walk from there. The old well is located at the end of. Near the Lilau Square are the Mandarin's House and the 16th century's St. Laurence's Church, all being treasure of Historic Center of Macau.